For over 30 years, Gary’s thinking has influenced such brands and destinations as Four Seasons Hotels and Resorts, Sheraton, American Express, Hong Kong, The Islands Of The Bahamas, Barbados, Emirates Airline and Harley-Davidson. Gary began his travel career as Worldwide Corporate Director of Public Relations for Sonesta International Hotels Corporation and then went on to lead travel marketing firm ISM for over 25 years, before merging with Connelly Partners in 2013. Gary is the proud recipient of the Albert E. Koehl Lifetime Achievement Award in travel advertising from the Hospitality Sales & Marketing Association International (HSMAI), an honor he shares with Michael Eisner and Sir Richard Branson. Gary is a past President of HSMAI and serves on the HSMAI Foundation. Gary also happens to be a collector of all sorts of things, including photography, old transistor radios, tin robots and, apparently, awards. With nearly 25 years of marketing and branding experience, Duff Stewart leads one of the top advertising agencies today. As CEO, he ensures the agency has the right people, resources and perspective to fulfill its purpose of creating ideas that make a difference. During his time at GSD&M, he has held many leadership positions to include president, chief operating officer and head of account service. His eye for bold creative and a well-developed business sense have led the agency to become a creative and media powerhouse for successful brands like Northwestern Mutual, Chipotle, Southwest Airlines and the U.S. Air Force, to name a few. Duff has long been an advocate of and giving back to the Austin community, often referring to the city as his creative muse. Annually, the agency is proud to support more than 25 local non-profits. 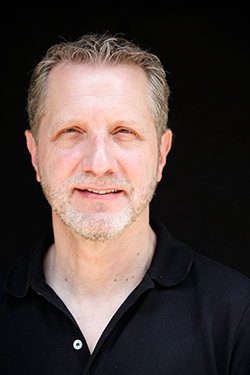 Of his many personal contributions, he has been honored to serve as president of the board of directors for the Austin Theater Alliance, where he aims to ensure art and music continue to thrive in Austin. He has also lent his time and talents to causes like the Anti-Defamation League, the Susan G. Komen Breast Cancer Foundation, LIVESTRONG Challenge, the Texas Mamma Jamma Ride and remains active in local, state and national politics. 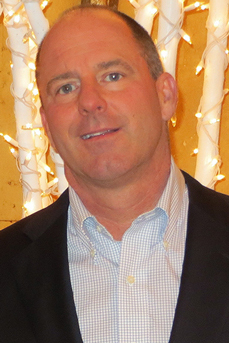 Duff began his career in commercial real estate after graduating from the University of Texas at Austin with a degree in economics. Jim Cannon has worked in the finance and M&A advisory field for over 20 years. He is currently a Principle with MD Cress & Associates, a national healthcare advisory firm. He is also affiliated and licensed through Crescent Securities Group, a registered broker dealer headquartered in Dallas, Texas. Jim is active in civic affairs; he is currently on the Board of Directors of CapCityKids, which supports the education of homeless children. He serves on the board of his church, Journey Imperfect Faith Community, and local charities including Mobile Loaves and Fishes, Austin Baptist Chapel (Angel House) and Faith Food Pantry. Harry Ballan was appointed Dean of Touro Law Center in August 2016, where he also teaches law. He directs the PTSD and Traumatic Brain Injury in War Veterans Program at the Institute for Music and Neurologic Function, founded by Oliver Sacks, a position that includes working with the U.S. Veterans Administration and Congress. He is engaged in numerous research projects on music and the brain and has used therapeutic music to treat hundreds of patients with psychiatric and neurological disorders. 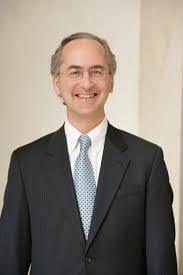 Ballan has also served as a professor of Music and Neuroscience at Yeshiva University. As a former partner at Davis Polk, Ballan worked on domestic and cross-border mergers, acquisitions, spinoffs and security offerings, as well as cross-border tax planning for such clients as Aetna, Artio, Bertelsmann, Campbell Soup and Julius Baer; on private equity and hedge funds for such clients as Metalmark, Credit Suisse, J.P. Morgan and Citigroup; and on tax litigation, in particular in resolving controversies for multinational firms in technology, pharmaceutical, health care and other industries. He also pursued an active pro bono practice for numerous clients. Harry Ballan has taught at Yale, Columbia and NYU Universities, was a student at the Conservatoire Américain, and is a Fellow in Neuroscience and the Arts at the Salzburg Global Seminar. Dr. Ballan holds a B.A., M.A., M.Phil. and Ph.D. from Yale University, and a J.D. from Columbia University. Mr. Falke is a 21-year combat veteran of the U.S. Navy and retired Master Chief Petty Officer. 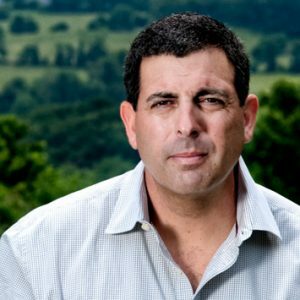 Ken is highly respected around the world as an innovative and forward thinking thought leader on the subjects of wounded warrior care, military and veteran transition, counterterrorism, and training and technology development. Under Ken’s entrepreneurial direction and leadership as the Founder of his first company, A-T Solutions, the company is a recognized international expert and valuable global asset in combating the war on terrorism. At the forefront of providing training and consulting services in the Anti- Counter- Terrorism industry today, A-T Solutions was named four consecutive years to the Annual Inc. 500 fastest growing privately held companies in the U.S. Also recognized in Entrepreneur Magazine’s Hot 500 List, the Washington Technology “Fast 50”, Smart CEO’s “Future 50”, and the winner of the very prestigious Greater Washington Area Government Contractor Award in the category of companies $75M-$100M. 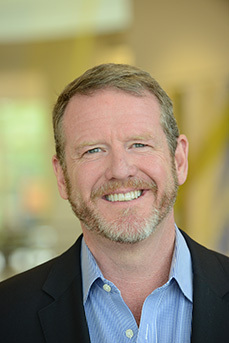 In 2010, Ken was named as the Entrepreneur of the Year for the Fredericksburg, Virginia Regional Chamber of Commerce and selected as a finalist in the prestigious Ernst and Young Entrepreneur of the Year program. Ken spends the majority of his time educating the public and private sectors on the issues surrounding the long-term care of our returning military personnel and their families from the last thirteen years of war. Ken has recently received the Loudoun County Sheriff and the VFW Post 2760 annual leadership awards. Barbara lives in Manhattan and has been involved with SW:S as a volunteer and is passionate about the program. She helped raise funds to hold a retreat in New York in 2016, and more recently attended our training retreat at the Carey Institute. Barbara began her career as a lawyer and then helped found Grantworks, a firm that specialized in research and grant writing for non-profits, which she ran for over nine years. From there she became heavily involved in the New Castle Media Center in Chappaqua, NY, a non-profit community media center that provides training and access to production tools. 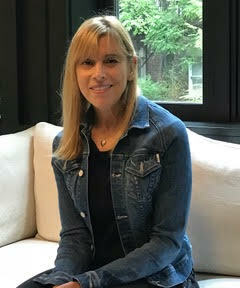 Bitten by the video and production bug, Barbara is now the Founder/Producer of Piper7Media which specializes in creating short documentaries, profiles, image pieces, corporate and music videos, as well as films for non-profits. What does a veteran have to say FIVE YEARS after attending a SW:S retreat? SongwritingWith:Soldiers, Inc. is a 501c (3) organization. All contributions are tax deductible. Tax ID # is 26-1626709. SongwritingWith:Soldiers provides the gift of song & creativity to soldiers and veterans. If you or a Veteran you know is in need of other assistance, please call the help hotline at 1 800-273-TALK or dial 911. If you are in need of immediate help or if this is an emergency go to your nearest emergency room or dial 911. Images by James Monk, Stacy Pearsall, Andy Dunaway. © 2019 SongwritingWith:Soldiers All Rights Reserved.